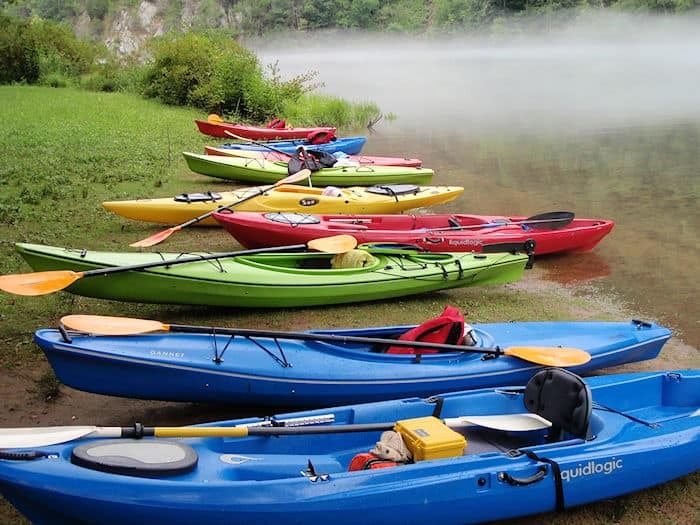 We have many different kayaks to choose from, if you plan to paddle on the open lake for long periods of time you may want to use a longer more narrow touring sea kayak. If you plan to paddle and take pictures of wildlife and look at wildflowers you may want to paddle a wider recreational kayak. 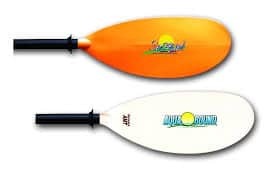 The sit on top is a great kayak for lake very stable, and you don't have the fear of being enclosed inside of the boat. 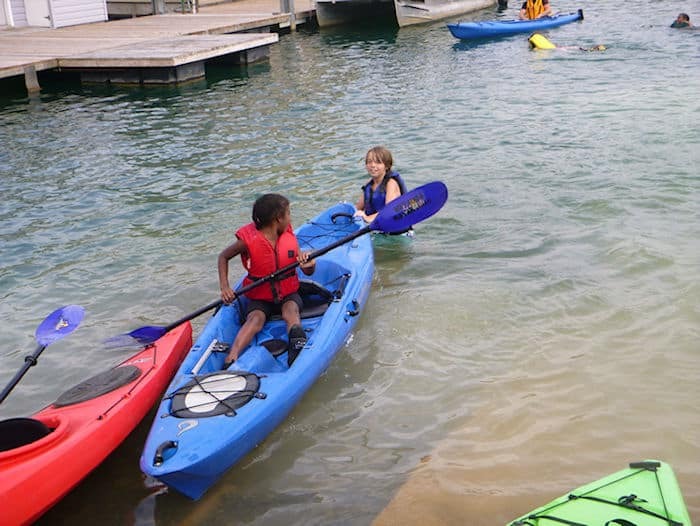 These kayaks are great for a parent to paddle with a small child, or paddle someone that does not want to paddle much. 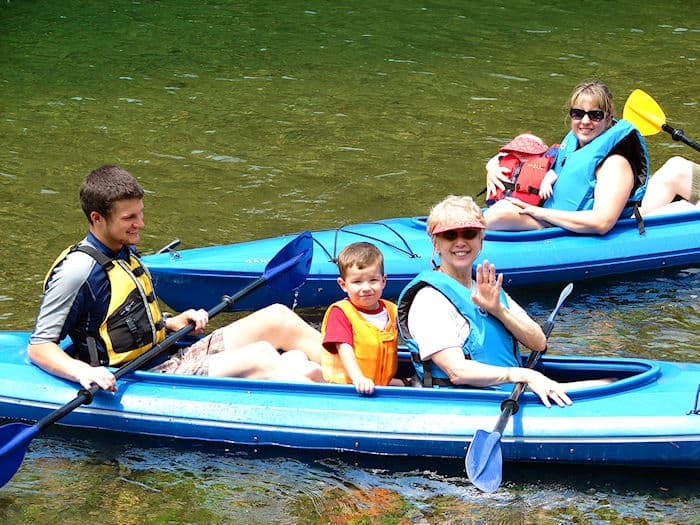 On all rentals you must wear your PFD (aka life jacket) Watauga Kayak provides the PFD with each rental. 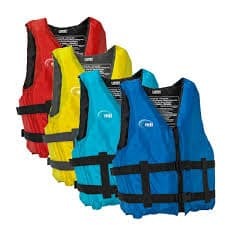 We provide a paddle and PFD with all our rental boats. For kayak rentals skirts are not provided.